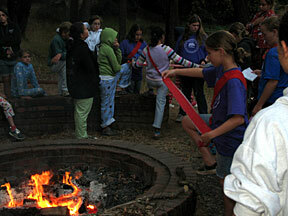 FOR over fifty years, Girl Scouts from all over Marin County have come to beautiful Camp Arequipa nestled at the bottom of the hills just outside Fairfax, California. Now those girls are coming back to us as adult unit leaders, directors, business managers and camp volunteers. We’ve come full circle.